Sensitivity training is a therapeutic method that is gaining ground both as a means of personal development and of resolving supposed or real communication problems between individuals within organizations. Its goal, as the name implies, is to make participants more sensitive to one another, to cultivate mutual respect, and, through role-playing games and interaction in which complete honesty is a precondition, to release participants from inhibitions and frustrations embedded in their social wiring as a result of their individual social backgrounds. In the organizational context, the sense of unity that group members develop during training, according to those who advocate the method, increases overall performance. But do these training programs really make participants more sensitive? Do people really benefi t? Is it sensible to take part in a program whose slogan is, ‘Not I, but the group?’ And for the Christian, how does this equate with Paul’s confession, ‘Not I, but Christ?’ Can a Christian remain standing if he refuses to bow to group morality, choosing instead to follow the law of Christ? 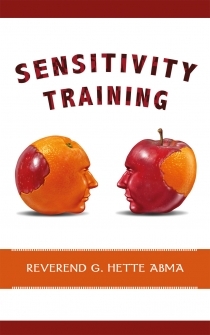 Reverend G. Hette Abma is a pastor in the Netherlands. He is also a member of the editorial board of ‘Israel and the Church’ and editor at ‘Prophetic Perspective,’ a Dutch Christian magazine.